30 years old now, he’s been an integral part for the Manchester United side for years. Since a 2004 switch, there’s currently none more deserving than Wayne Rooney to be captain in the current squad. With 178 goals in 368 appearances the English captain has cemented his position as a starter. He has also gone on to play several positions due to his versatility. Now, he begins the new campaign under Jose Mourinho. He got a lot of playing time in pre-season friendlies. He also clocked several minutes in the Community shield victory over Leicester City. The Portuguese gaffer has indicated Rooney is a huge part of his plans but for how long? An indifferent performance in one game may be too little to rule him out but the signs are there. I believe as the season gets more intense, radical measures would be taken to keep the squad in contention for the title. Knowing the former Chelsea manager, decisions like playing Rooney from the bench or subbing him off just before the hour mark could become commonplace. Time To Say Goodbye? Rooney was subpar against Leicester City. Yes, every player has his role to play to achieve an all-round effort to win a game. Nevertheless, it is not shocking to declare the English captain has been a far cry from the explosive player of his peak days. In the last campaign he recorded his worst goal tally since 2002. Granted, 8 goals may have been a function of being asked to play a deeper role under Louis van Gaal. Injuries have also taken their toll so expecting a return of that player might be unrealistic. However, the Old Trafford faithful must realize the man in the number 10 jersey cannot play as intensely as he used to. As such, he must be used probably less just as Luis Enrique did with Xavi Hernandez at Barcelona. Despite being captain, the legendary midfielder saw fewer minutes. As such he was able to give more inspired performances that way. Coming off the bench more than he did before helped him conserve strength, delivering better showings. It’s that simple, fewer games for the ex-Everton player would keep his legs fresher. He would also be able to deliver a bit more with less pressure on him. In a mathematical equation, this could be represented as: Fewer games + Wiser Minutes = Better Rooney Performances. 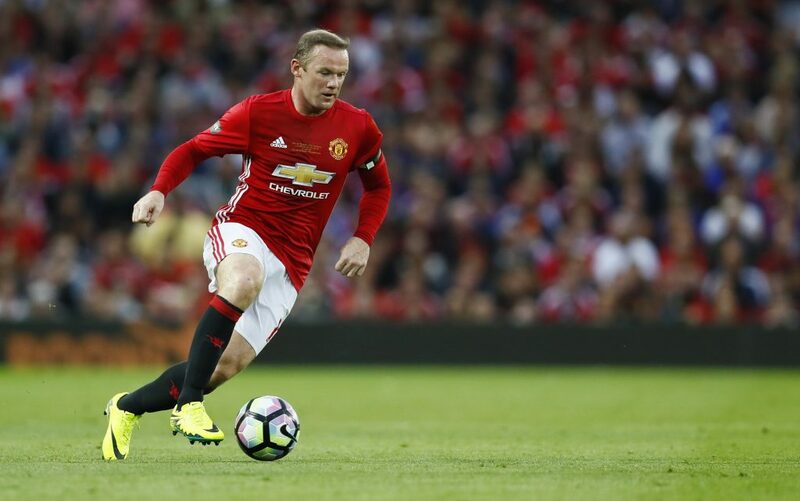 Mourinho has indicated he does not see Rooney as a midfielder. With Paul Pogba on his way there is no space there for him anyway. Elsewhere, Zlatan Ibrahimovic, Henrikh Mkhitaryan and Juan Mata may provide competition. The sun is surely setting on the man 5 goals away from Sir Bobby Charlton’s record. That’s just the reality now. Next articleConte’s 3-5-2: To Be or Not To Be?